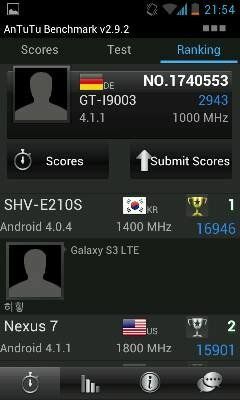 Diskutiere das Thema "Port des CyanogenMods 10.0 fürs S SCL" im Forum "Custom-ROMs für Samsung Galaxy S SCL". Twista04, Himmelskrieger und frankie78 haben sich bedankt. All the source code for CyanogenMod is available in the CyanogenMod Github repo. And if you would like to contribute to CyanogenMod, please visit out pen,n,z">Gerrit Code Review. You can also view the Changelog for a full list of changes & features. * PLEASE READ THE ENTIRE TOPIC BEFORE FLASHING THE ROM. * REPORT BUGS IN THE TOPIC ONLY. * DON'T SEND ME PM MESSAGES ABOUT BUGS OR FEATURE REQUESTS. * ONLY REPORT THE BUGS IN CM9. I DON'T PROVIDE SUPPORT FOR OTHER ROMS. POST IN THEIR RESPECTIVE THREADS. * IF YOU ARE ON A CUSTOM KERNEL, FIRST CHECK WITH THE STOCK KERNEL AND THEN REPORT THE BUG. This ROM is divided into 2 parts and some of the applications are installed on the /data partition due to lack of space for full Jellybean installation. Hence you will have to reflash the rom after you factory reset or wipe /data partition. 3. Select the ROM zip from your SD Card and flash. 4. Go to Advanced -> Reboot Recovery. 5. After the Recovery restarts, Wipe Data / Factory Reset. 2. Select the ROM zip from your SD Card and flash. 3. Go to Advanced -> Reboot Recovery. 4. After the Recovery restarts, Wipe Data / Factory Reset. CyanogenDefy Team [tpruvot, Quarx, nadlabak] for helping with OMX. Hier der link zum tauschen der internen mit der externen SD. Twista04 und frankie78 haben sich bedankt. frankie78 und Twista04 haben sich bedankt. So ich bin jetzt am testen. Schaut eig. sehr nice aus das ganze! Samsung Galaxy SL i9003. Doesn't work with any other phones not even the Galaxy S i9000. Check phone information in Settings before installing this ROM. Some other minor issues as well. If you are on ROMs like CM 7/CM 9/MIUI skip to step 6. 1. Download the Rom and put it in the root of your micro SD card. 2. To flash ROMS you need Clockworkmod Recovery or CWM on your phone. 3. Flash XXKPU. Please note that XXKPU can be flashed only after flashing XXKPE, so read it carefully. 5. Download CF ROOT for XXKPU and then install it by putting the phone to download mode, selecting the tar file as PDA and flash it. CF ROOT comes with CWM. 6. Go to CWM recovery by pressing Vol Up+ Home+ Power button. 7. Use vol buttons to navigate and power button/Home to select. 8. Select Wipe data/factory reset. 9. Go back and select "install zip from sd card" and choose the ROM file you just downloaded. 10. Wait for it to install and then go to advanced and select Reboot recovery. 11. After recovery is rebooted, go to mounts and storage and format dbdata. In order to get Google applications, you need to download Google apps for jelly bean and install the zip from CWM recovery. frankie78 und Olli von G haben sich bedankt. Ok cool, na dann hoffen wir mal das es sauber läuft! Wer hat des CM10 Alpha 1 schon getestet ? 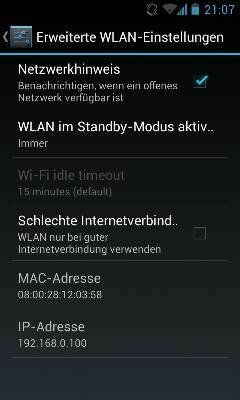 Wie schauts mit den altbekannten CM9 Bugs (Wifi hotspot, usb thethering, Video ect.) aus ? Ich werde die erstmal drauf lassen. Bluetooth brauch ich nicht Videoaufnahme geht in SD Qualität also einfach auf 480p stellen und gut ist.für Video Wiedergabe einfach einfach MX player ausm store laden und dann gehts. Um Bluetooth "sporadisch" nutzen zu können, müsst Ihr es Einschalten und euer Smartphone danach (mit Eingeschaltenem Bluetooth) neustarten. 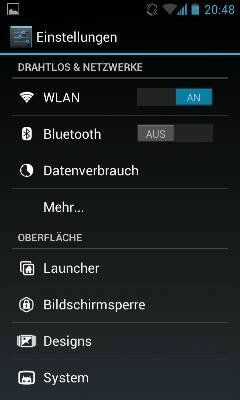 Nach dem Re-Start sollte Bluetooth aktiviert sein und funktionieren. Um gegen den "enormen" Akkuverbrauch "vorzugehen" sollte man ein reflash machen. (Evtl. 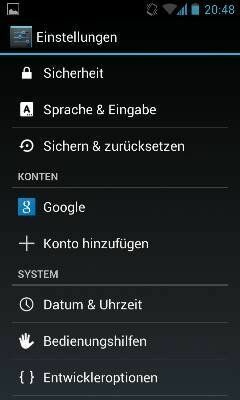 Das gleiche gilt falls GAPPS (Google Apps) nicht richtig laufen, oder evtl. gar nicht! it will re-open with bluetooth activated. -Gallery issues: Needs to get fixed by dhiru. -GAPPS/DRAIN Reflash using EXACT steps below. -CM9 issues will need to get fixed by dhiru. Hallo Olli, Danke fürs Reinstellen und Testen. 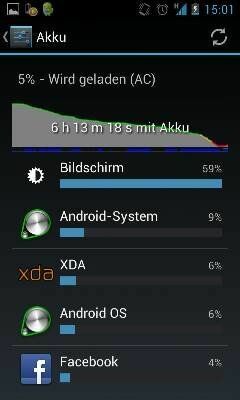 Die Antutu werte sind ja wirklich besser als im im Standard CM9, da hatte ich 2650 punkte max. Ich werde es mir in den nächsten Tagen auch installieren, hab aber gerade zu wenig Zeit und 2 Defekte Micro SDs. Da muss ich mir erstmal wieder neue besorgen. Mit dem 3.0 Kernel siehts wohl richtig gut aus. XDA Swap To Sd for CyanogenMod10 kannst in deinen Startpost hinzufügen. Himmelskrieger und frankie78 haben sich bedankt.